(PRLEAP.COM) The 2017 Dr. Toy's 100 Best Products Award Program is open for applications. All toy companies and children's product manufacturers and marketers are encouraged to submit their products for review for the 100 Best Children Products of the Year before deadline - September 15, 2017. The Dr. Toy Awards Program returns after the organization was forced to take a hiatus of reporting in order to create time-out for Dr. Auerbach's knee replacement surgery, and to resolve organizational and technological challenges. "Our program is as strong as ever especially in value and outreach," Stevanne Auerbach, PhD. aka Dr. Toy, said. "We've healed, and resolved several complex issues, and are reestablished with our strongest infrastructure and content to support all participants for all of our programs." Dr. Toy® is trademark of Stevanne Auerbach, PhD. Dr. Toy is committed to promote positive play for all ages. 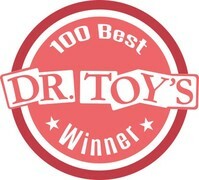 Dr. Toy's Guide, www.drtoy.com, the first site on the Internet on toys, has for over 30 years provided parents and teachers with information about Best Children's Products as well as interviews, and professional articles on various child development, play, parenting and toy topics. 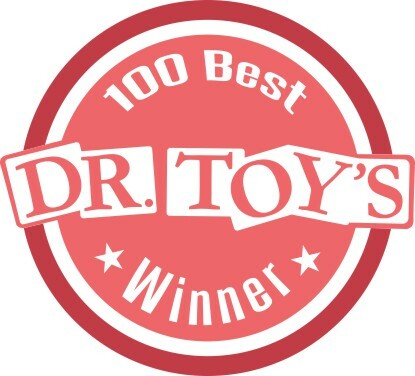 Dr. Toy's largest, most well-known product review is the annual 100 Best Products including 10 Best in Special Categories: Best Active, Children's Product, Construction, Creative, Educational, Games, Multi Media, Socially Responsible, Technology, and Toys. There is also a supplemental "Best Picks" of outstanding new products selected for honorable mention. "We have come a long way over 30 years considering the early 'snail' mailings of applications and award packages!" Auerbach said. "The application for submissions is online, and we have extended the deadline to September 15th in order to give everyone a better opportunity to submit their products." Dr. Toy's Guide, the only free, comprehensive, international product evaluation program offered to consumers before the Holidays, describes toys for their educational qualities, developmental benefits, and high play value. In addition, Dr. Toy's columns of timely topics related to play, toys and learning are distributed to newspapers, blogs, websites, social media, and other media throughout the U.S. and Canada. Millions regularly discover Dr. Toy's Best Products Award Programs though press releases, interviews, and articles Dr. Toy provides. About Dr. Toy: Dr. Toy, Stevanne Auerbach, PhD, is the author of Dr. Toy's Smart Play/Smart Toys, published in the USA and 13 other countries, recently released in Egypt, which provides practical tools to enhance a child's "PQ" (Play Quotient) from baby to age 12 and over. She has written 16 other books, hundreds of articles on toys and play, and been interviewed in newspapers, magazines, radio and TV throughout the USA and Internationally. She is an original member of Women in Toys; ASTRA, and TIA. Through the Dr. Toy's Best Product Award Programs a wide-range of products are recognized in Dr. Toy's Guide as the best toys, games, and playthings in many categories including, Best of the Year, Best Picks, Best Classics, Best Vacation, and Best Green (she was the first to recognize "eco-friendly" products and companies over 10 years ago). Dr. Toy's Guide website, www.drtoy.com, has links to product makers, retailers, and other useful sites for parents, teachers, children, and toy enthusiasts. The site, the first on the Internet on toys, also provides pertinent product information including photos, product descriptions, links to company sites, and consumer information. Interact with Dr. Toy on Social Media through Facebook, Twitter, Pinterest and YouTube.